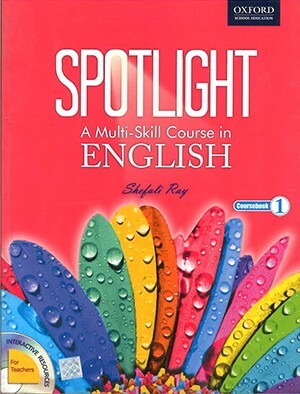 Spotlight- A Multi-skill course in English is designed to enable to effective learning, teaching and testing of English as a second language. The aim of the series is to equip learners with the language skill and confidence needed to apply classroom learning to life outside the school. Following the holistic approach to language learning stipulated by the national curriculum Framework, 2005, the books in this series provide opportunities for continuous and comprehensive Evaluation (CCE) woven into a varied range of exercises and activities.